Red Heart Super Saver Yarn is a great go-to yarn for home decor, craft, and clothing projects. The solid-color yarn has no dye lot, so you'll get consistent color from skein to skein. Projects made with this durable, worsted weight, 4-ply yarn will stand up over time. 100% acrylic. Made in the USA. 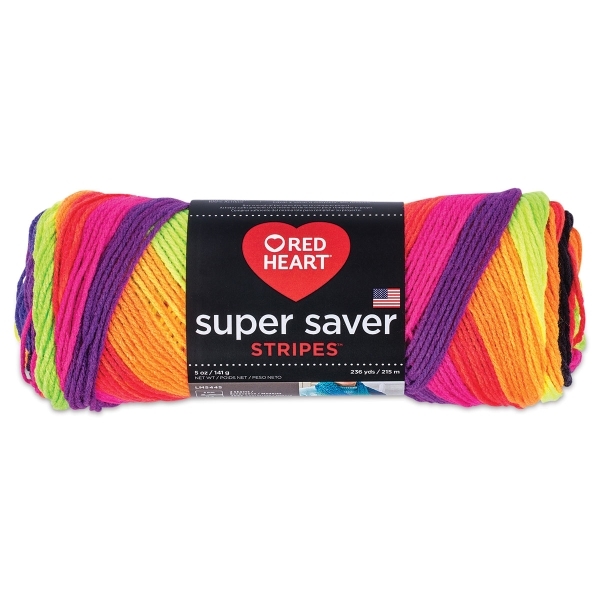 ® Red Heart is a registered trademark.® Super Saver is a registered trademark.